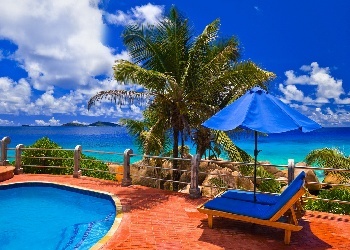 Sometimes, when the winter wind is whistling, the sky is grey, the cold is seeping in under the jamb, and you just can’t seem to break out of the winter blahs…you need to bring a warm little breath of summer into your life, if only to remember that it won’t be this cold and dreary forever…..! For some, this may mean listening to Bob Marley and drinking a Red Stripe under a sunlamp; for others this may mean putting on a loud Hawaiian shirt and flip flops when doing the laundry. For me, it means making a recipe that I really enjoy, but is usually reserved for those lazy, hazy days of summer. The recipe that captured my attention and made me do a little happy-dance last week? Homemade sorbet. 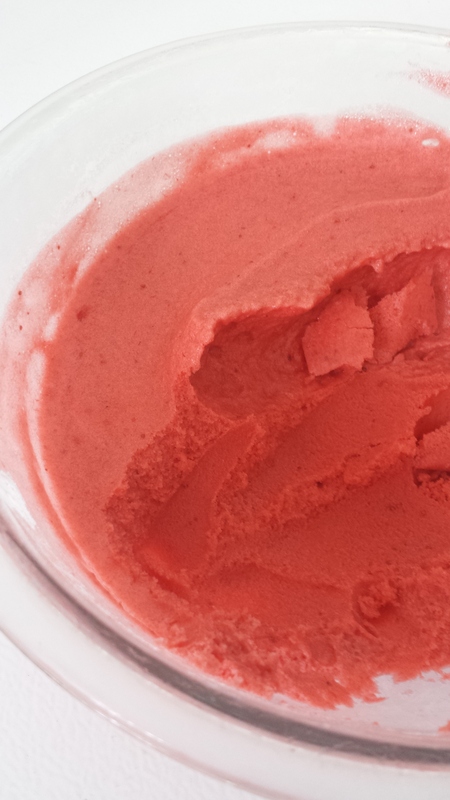 Specifically, strawberry sorbet, made with delicious strawbs picked and flash-frozen at the peak of ripeness last summer. I usually only make sorbet in the summer months, as I like to use fresh berries that I’ve picked myself in June and July. 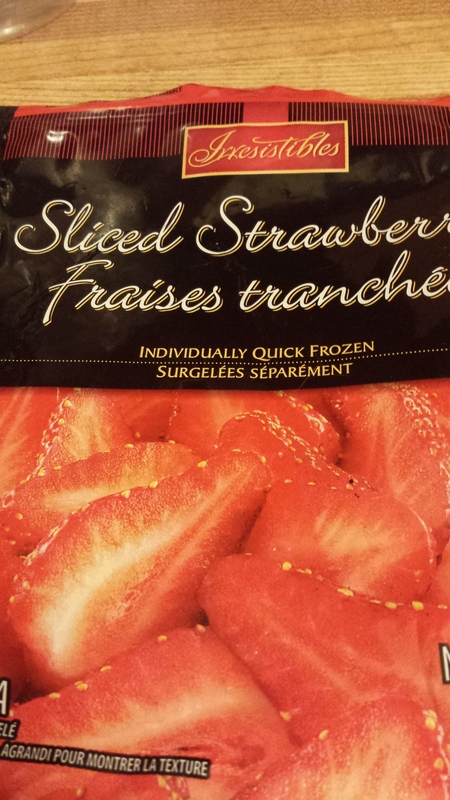 However, I happened to find a bag of frozen strawberries just forlornly lying about in my deep freeze while I was looking for dinner ingredients, and BOOM! went the craving for a little taste of summer. The recipe itself is very simple, and as such needs good quality berries to bring it to life. Sorbet is one of the more forgiving iced confections as well, since it doesn’t absolutely require the use of either a food processor or an ice cream maker (although having these machines really do help perfect the recipe, IMHO). It’s also completely dairy-free. Combine all ingredients in a large saucepan and bring to a rolling boil. 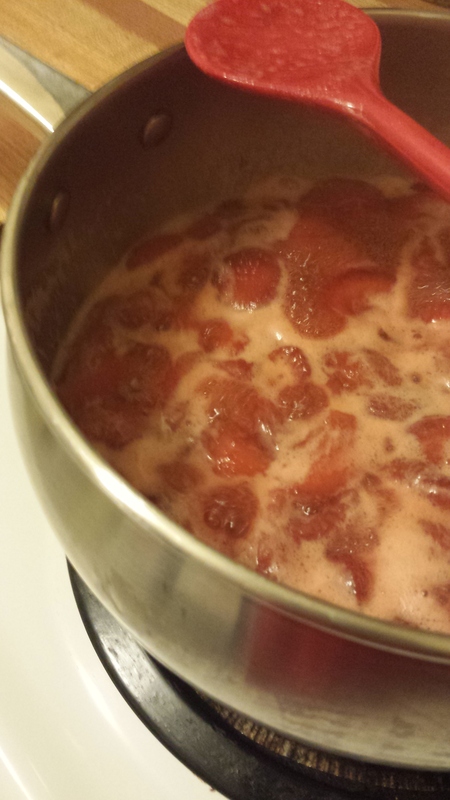 Reduce heat and simmer, uncovered, for 5 minutes (8 minutes if using frozen berries). Cool slightly, then transfer to a food processor or blender* and process to a puree. Cover and allow mixture to cool completely. Churn the cooled mixture in an ice cream maker** (follow manufacturer’s directions for optimal results) for 10 minutes, then add egg whites. Continue to churn until frozen, about 30 minutes. Transfer to a freezer container and place in deep freeze to harden. **If you don’t have an ice cream maker, don’t fret; you can make a “granita” by putting completely cooled mixture into a wide, shallow freezer-safe dish, and freeze. Every 30 minutes take it out of the freezer and rake the mixture thoroughly with a fork until ice crystals appear and remain frozen. Think of it as a grown-up’s ICEE-cone! 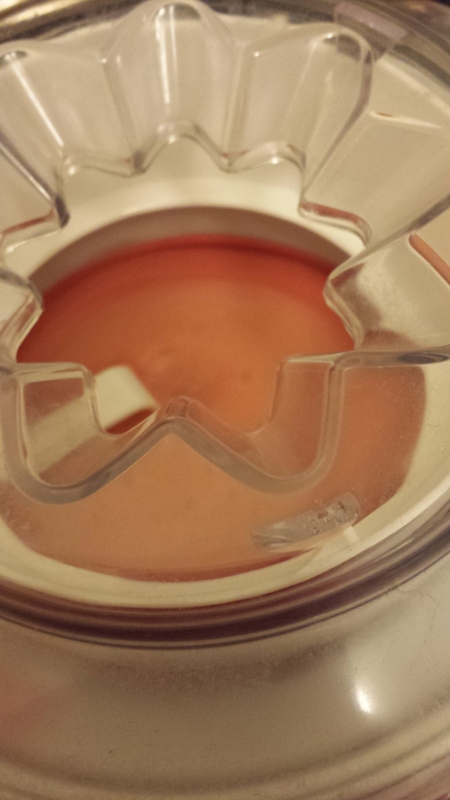 When serving, remove from freezer about 5 minutes prior to allow the sorbet to soften slightly so it is easier to scoop. Some simple and tasty variations on this sorbet would be to add an extract, herb, spice, or other flavouring that pairs well with strawberries, to add an extra depth of flavour. Add 1 tsp max of no more than one of the following. EDIT: Some readers have asked about the addition of egg whites to the sorbet, so I’ve decided to append an explanation of why they are included in this recipe. Egg whites will help emulsify and stabilize the mixture and give it a creamier, less grainy “mouth feel”. The egg whites also act as a preservative so you can keep the sorbet in the freezer for longer without it breaking down. They are totally optional, however, if you are concerned about the *exceedingly small* chance of salmonella. If you’d like to use them but are still nervous, I’d suggest using the equivalent amount of pasteurized egg whites in place of fresh eggs to reduce the risk even further. For full disclosure’s sake, no, I did not add the egg whites to my batch of sorbet…but only because I didn’t happen to have any in the house. And yes, the sorbet, while immensely delicious, was a teeny bit grainy, which would have disappeared with the addition of the egg whites. Next Post Breakfast for Dinner? Why Not!